We probably all know at least one of these photos by Roger Cremers, we’ve seen it before – it was part of a series awarded a First Prize by WorldPressPhoto in 2009, it was shown around the globe. These tourists at Auschwitz make us smile – a wry smile, yet a smile: ‘stupid tourists.. So Auschwitz has become a tourist attraction?’- but they also put us ill at ease. 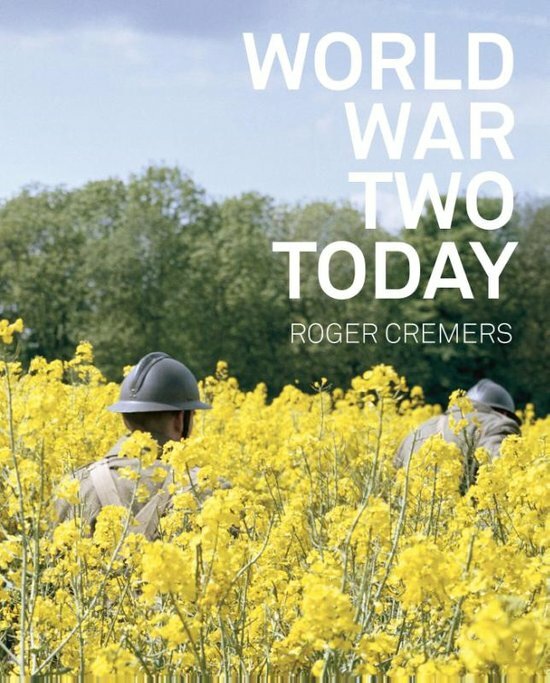 And this is the case with all the photos Roger Cremers assembled into a book and an exhibition (World War Today; Verzetsmuseum Amsterdam), showing commemorations as well as tourists as well as enactments at well-known WWII sites: concentration camps (the ‘touristy’ Auschwitz and the ‘hidden’ Sobibor), the beaches in Normandy where the D-Day landings took place, other battlefields (like the steppes around Stalingrad, where voluntary workers exhume a few corpses of the thousands of soldiers who were killed during the battle of Stalingrad) – but also Berchtesgades, Hitler’s eagle’s nest in the Austrian Alps, and meetings of former SS-members… All these intriguing photos finally ask us one question. Where do I stand? Voluntary workers exhume a Soviet soldier’s skull. Thousands unknown soldiers lay buried here since the battle of Stalingrad. PHOTO AND COPYRIGHT ROGER CREMERS. Comment vivons-nous la Seconde Guerre Mondiale aujourd’hui? Plus de soixante-dix ans après la Libération, comment regardons-nous notre passé? Roger Cremers a photographié des touristes à Auschwitz, des acteurs rejouant des scènes de la Libération, des commémorations en Normandie, des bénévoles qui retrouvent, identifient et réenterrent des combattants morts pour la Russie à Stalingrad… Une belle exposition au Musée de la Résistance d’Amsterdam (Verzetsmuseum), qui fait réfléchir, et qui fait naître plus de questions que de réponses.